This clamshell is composed of two pieces. A set includes one back and one front to create one clamshell. COMMENTS: I'm going to buy more of these and make some break away bath melts! COMMENTS: I bought these to make soy & beeswax scent cubes. Works great, I've had no issues with melting, warping, etc. My favorite use though is for molding my beeswax. Because it is my own beeswax and not purchased wax, it isn't in a convenient size and I was spending a lot of time trying to cut chunks off of my block. Now I melt it down and pour it into these clamshells. When I need to make a lip balm or lotion bar, I can easily get a small amount of wax without having to deal with a giant block of wax. 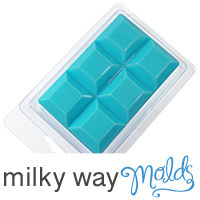 "Milky Way Squares Cubes Clamshell"
COMMENTS: Perfect for making wax cubes for your candle warmers. COMMENTS: These clamshells are the perfect size for my bath melts. COMMENTS: So easy to use and works perfect. 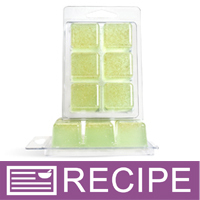 "Great for solid sugar cubes"
COMMENTS: I ordered just six of these clamshells to test out a small batch of solid sugar scrub cubes. They worked wonderfully! They held their shape well even after popping out the final product. I gave them a good cleaning with mild soap and hot water and let them air dry. They are ready to use once again for another batch of scrub cubes. I am happy with them. Five individual cubes from this mold fit nicely into the 2 oz. standing sealable pouches sold by WSP also. I added five cubs each to the clear pouches and they look great. Very pleased! "Too many damaged and too thin for wax"
COMMENTS: Used these for wax melts with soy wax. I really like these however even at 100 degrees I had quite a few that melted through the plastic wasting quite a lot of these. 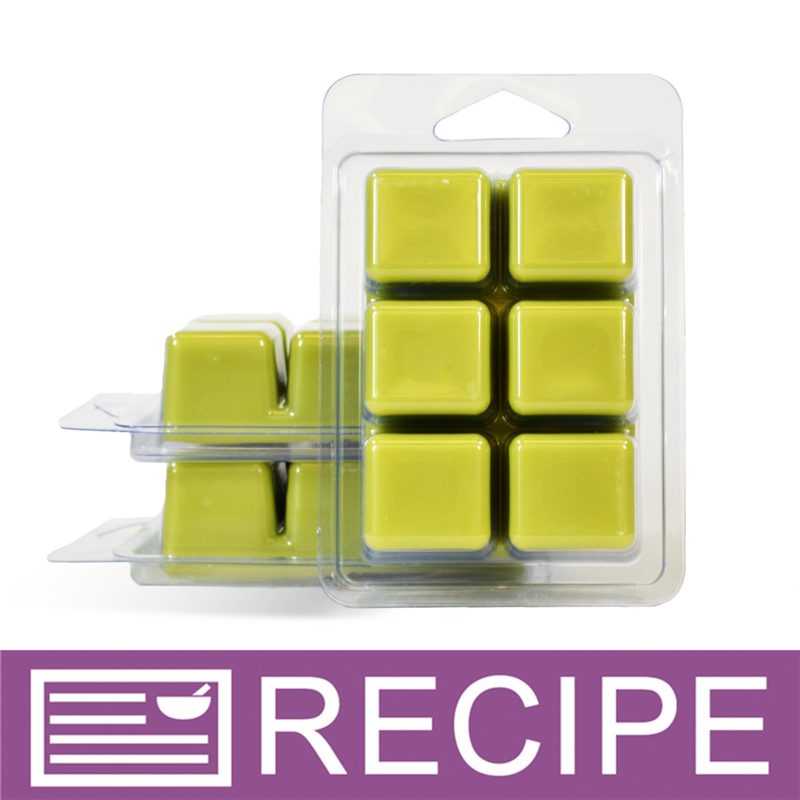 COMMENTS: These are so easy to use for making wax tarts and make packaging a breeze. All of my customers comment on how professional my tarts look. I can't believe I waited so long to try these. COMMENTS: Love these they work perfect! I use them for my soy & paraffin tarts. COMMENTS: I love that they sell these molds! 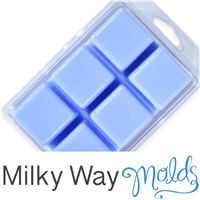 I use them for my sugar scrub cubes and plan on leaving them in the mold for my customers to pop out when they use them. They worked well. It is pretty hard to take the lids off once they are on, so don't put them on until you are ready. A few of the cubes had some dents in the plastic, but I just pushed them out and they worked fine. COMMENTS: Works great for my scented tarts. "Do any of your 6 part clamshells have hanging tabs? Can these hang on a retail display rack? " Staff Answer All the clamshells have a hang tag for placing on a display rack. "Are these designed for one-use or multiple uses? I read in one of the reviews that they re-use them." Staff Answer These are meant to be a one-time use. Once a product is popped out of the cube, the plastic can collapse or wrinkle slightly which would make it difficult to reuse. "What would be a good label size for these?" Staff Answer The label area is 2.25" x 3.5". "Does this plastic contain BPA?" Staff Answer This plastic does not contain BPA. "How many packages come in a "set" - is it just one?" Staff Answer Yes, a set consists of the mold and the back closure which would be used as both a mold and final packaging. "Is this the same as Clamshell with Hinged Lid - 6 Small Cubes ?" Staff Answer No. The dimensions and volume of each cube is the same as the Clamshell with Hinged Lid - 6 small cubes. However, this is a 2-peice clamshell. The front and back are two separate pieces that are not connected or hinged.